It is never too early to introduce children to music. 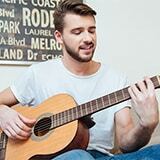 Playing some music to an infant can grab their attention or soothe them when they are nervous. 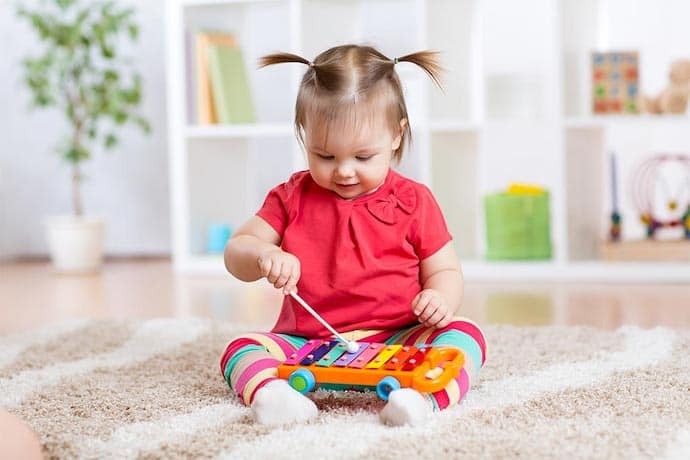 When a baby is a little older, it is not uncommon for them to fall in love with any toy that can produce sound. Remember the first instrument you got as a child? Chances are it was the xylophone. This simple instrument is a perfect introduction to the world of music for any youngster. To offer some guidance on how to choose the best xylophone for kids, I have selected the top 5 instruments currently available. Why is a Xylophone Beneficial to Your Child? How to Pick out the Best Xylophone for Babies? What Is the Appropriate Budget? Small Fish provides a cute little package that includes a colorful xylophone, a harmonica, and a couple of child-friendly mallets. To top off the cute offer, Small Fish went the extra mile and designed a cool package to match the instruments. This basic music set is a perfect gift for most toddlers. In addition, the xylophone and all the accompanying accessories meet the ASTM International Toy Safety Standards. They are made of non-toxic materials and the sizes and constructions are safe for even younger babies. There is another Small Fish feature that’s worth pointing out. The xylophone is perfectly tuned and it will stay that way no matter how hard it is played. Each note is clearly labeled and color-coordinated so that the children can remember the tunes easily. 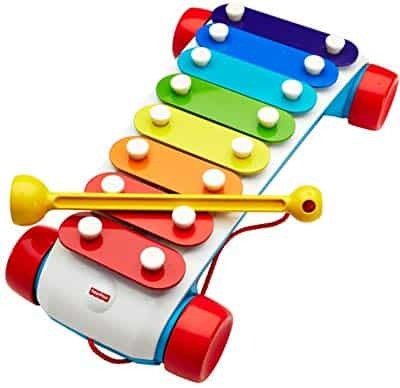 As a bonus, this xylophone set comes with some music sheets and learning resources. This Hohner Kids glockenspiel features a special safety design. There is a protection all the way around the xylophone that keeps the bars in place. 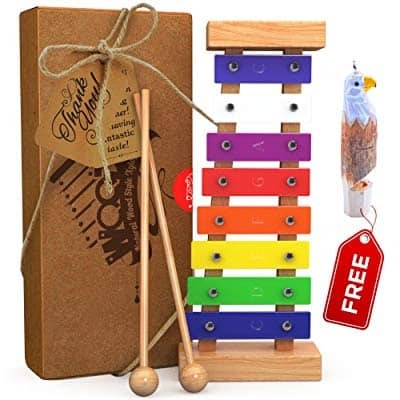 What easily makes this one of the best xylophones for toddlers is that this glockenspiel is completely lead, phthalate, and BPA-free. As a result, it is perfectly suitable for small children. Besides being super safe, this xylophone is also a great instrument for the younglings. It is designed for one-year-olds and older children and features mallets that match the age group. It should go without saying that the instrument is also tuned to perfection. Each bar is clearly labeled color-coded. 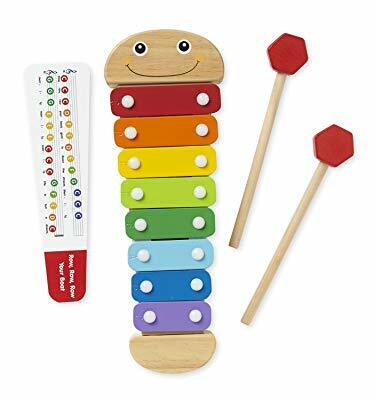 The Melissa & Doug Caterpillar Xylophone is a super cute little instrument. Its caterpillar-shape body supports color-coded bars that, of course, have note labels on top. But there is one cool design trick that I really like about this xylophone. To be more precise, the xylophone comes with two identical mallets that can be stored on the instrument and turned into the caterpillar’s antennas when not in use. In addition, you will get a double-sided music card to teach your child how to play a nursery rhyme. This is a Melissa & Doug product so you can expect it to be made of child-safe and non-toxic materials. It looks and feels sturdy and well-built so there shouldn't be any concerns about its safety. The Fisher-Price xylophone earned its place on my list for its ability to work as a pull toy and a musical toy. This musical toy features a fresh take on the classic pull toy look that some of us may remember from the childhood. It comes with a set of wheels that roll easily and the baby-friendly mallets are attached to the base via a cord. There are 8 colorful bars but they don’t have any note labels on them. In any event, the xylophone sounds great and produces distinguishable notes. You should know that this music toy is a bit bigger and heavier compared to other xylophones. But this doesn’t impede its usability in any way. This xylophone has a simple child-friendly design and perfectly tuned metal bars. The bars are labeled with the corresponding notes and the package includes a music sheet that helps teach a child some cool tunes. Similar to most if not all kids' xylophones of today, this one is completely free from lead, phthalate, and BPA. It feels well-made and sturdy so it should outlast your child’s growth. For children under 6, parental supervision is recommended. On the other hand, there are a couple of other features that I find interesting with this xylophone. It comes in a really nice present-like package and you get an extra eagle whistle as a present. The xylophone is a great musical toy for children. To help you understand why, I have created some guidelines below for you to check out. The xylophone is a great musical toy for developing fine motor skills in the early stages. In addition, it can help children learn about rhythm and basic music scales. Let’s not forget the fact that babies and toddlers are natural drummers who like hitting anything that can produce sound. This is why the soft high-pitched sound of a kids' xylophone can be particularly appealing to children. Not to mention that the xylophone has the easiest learning curve compared to other instruments. There are a few things to look for when choosing the best xylophone for your child. First of all, you should make sure that the xylophone is age appropriate. Some models are not recommendable for children under the age of two. Another thing to factor in is the musical toy’s durability and build quality. There are some excellent wooden and plastic options, but the xylophone bars should be made of metal to ensure the best sound. When it comes to sound, a xylophone needs to produce a nice tone, if the children are to learn some tunes. Xylophones, especially the ones designed for babies are an inexpensive toy that anybody can afford. You can also spend a few extra bucks on a model that has a better build quality which usually translates to better sound and durability. On the other hand, if you are aiming for a more serious instrument that can grow with your child, you can get a decent one for under $100. 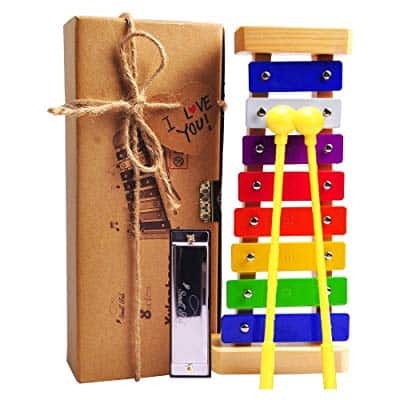 I hope my list will help you choose the right xylophone as a present for your child. You shouldn’t think twice about getting a xylophone for your children because it can significantly help their cognitive abilities and development. Just make sure to get an age-appropriate product and get ready to watch your child enjoy hours of fun play.